'Het schilderen is een oog, een verblind oog, dat blijft zien, dat ziet waardoor het verblind wordt'. Artists' Books in the Modern Era 1870-2000, The Reva and David Logan Collection of Illustrated Books, Thames & Hudson, London, 2001. Riva Castleman, A Century of Artists' Books, The Museum of Modern Art, New York, 1994. 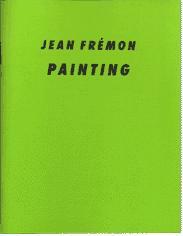 Yves Peyré, Peinture et poésie, Le dialogue par le livre, Gallimard, Parijs, 2001. Papiergesänge, Buchkunst im, zwanzigsten Jahrhundert, Prestel - Verlag, München, 1992. Artist / Author Contemporary Artists' Books, Cornelia Lauf And Clive Phillpot, Art Publishers Inc, 1998. Catalogue for an extensive and somewhat controversial exhibition of Artists' Books organized by Cornelia Lauf, an independent curator, historian and editor and Clive Phillpot, formerly the director of the Museum of Modern Art Library in New York. Bury, Stephen. Artists-books: the book as a work of art, 1963 - 1995. London: Scolar Press, 1995.
printed matter, Künstlerbücher aus der Sammlung Missmahl, (Museum Burg Wissem, Troisdorf), Salon Verlag, Köln, 2000. UbuWeb is a great resource: experimental art and poetry, soundworks, mixed media, etcetera. The avant-garde tradition, fluxus, ethnopoetics... And also, /ubu Editions, a wonderful E-books series. | Historical and contemporary Artsounds. Categories include Dadaism, Futurism, early 20th century literary experiments, musique concrete, electronic music, Fluxus, Beat sound works, minimalist and process works, performance art, plunderphonics and sampling, and digital glitch works. The main purposes of this virtual library are to list art institutions and organizations, locate archival and library collections, and provide links to internet resources on contemporary art. BAM is het Vlaamse steunpunt voor beeldende, audiovisuele en mediakunst. Brooke Alexander publiceert sedert 1968 edities en multiples van o.a. Alex Katz, Allan Mccollum, Allen Ruppersberg, Andy Warhol, AR Penck, Barnett Newman, Bruce Nauman, Carroll Dunham, Claes Oldenburg, David Hockney, David Salle, Donald Judd, Elizabeth Peyton, Ellsworth Kelly, Frank Stella, Franz West, Fred Sandback, Georg Baselitz, Gerhard Richter, Günther Förg, Helen Frankenthaler, Imi Knoebel, Jan Vercruysse, Jasper Johns, John Baldessari, Jonathan Borofsky, Joseph Cornell, Luc Tuymans, Lucian Freud, Markus Raetz, Matt Mullican, Philip Guston, Raymond Pettibon, Remy Zaugg, Richard Artschwager, Richard Long, Richard Serra, Richard Tuttle, Robert Longo, Robert Mangold, Robert Moskowitz, Robert Motherwell, Robert Rauschenberg, Robert Ryman, Roy Lichtenstein, Sam Francis, Sean Scully, Sol Lewitt. In keeping with the mission of the Codex Foundation, to preserve and promote the art and craft of the book, every two years, the foundation hosts an International Book Fair on the campus of the University of California Berkeley. The inaugural fair, in 2007, gathered together a congress of the world's finest private presses, book artists, artisans, curators, collectors, and scholars in the spirit of an Old West rendezvous. The depth and breadth of the work represented at the fair is archived in the Codex Publication BOOK ART OBJECT. Reeks uitgaven in uniform formaat (The Drawing Center, New York), ontworpen door Luc Derycke (Gent, België) van o.a. Richard Tuttle, Suzan Frecon, Helena Almeida, Giuseppe Penone, Cecilia Vicuña en César Paternosto. Sedert 1997 geven Thomas Jones Russell Calabrese edities uit van o.a. Ricci Albenda, Robert Beck, Sol LeWitt, Matthew McCaslin, Andres Serrano, Kiki Smith, , Nancy Spero, Richard Tuttle. Each year, the IFPDA sponsors the world's largest and most celebrated annual exhibition and sale of prints in New York, as well as provides funding for numerous print-related educational programs, including publications, lectures and symposia. zingmagazine came out of the idea that within certain disciplines, artistic and otherwise, various cross-references occur, both with individuals and the material of their particular interest. Rather than remaining isolated and apart, either through an unaware and uninformed (or aware and informed) malaise, there is a need to commingle arenas. By establishing a forum of collaborative exchange, zingmagazine examines points of both similar and dissimilar articulations. Like sets and subsets in a mathematical diagram, having similar and opposite properties, parts of the exchange will share epiphanies while others will securely diverge. But in the examination of these current issues, born out of the curatorial collaborative spirit, zingmagazine reaches for the crossing point, and it is from this “crossing”—where fiction meets poetry for lunch, theorists mingle with artists over which they are, and while we all assume new boundaries with an excess of technology in the modern world—that we find our inspiration. Likewise, it is from this crossing that the title is honed. Editions et livres d'artistes (Paris). Imprimerie artisanale, poésie et art contemporain. Since 1982 the Press has issued books and portfolios. Arion Press aims to match the finest contemporary art with literature. Its authors extend from Ovid to Shakespeare, Laurence Sterne, Herman Melville, Gertrude Stein, Sigmund Freud, Italo Calvino, Allen Ginsberg, Seamus Heaney and David Mamet. Original prints by major artists, including Bruce Conner, William T. Wiley, Martin Puryear, Jim Dine, Jasper Johns, Richard Bosman, John Baldessari, Robert Motherwell, Richard Diebenkorn, R. B. Kitaj, Ida Applebroog, Wayne Thiebaud and Sol LeWitt. web version of Aspen, a multimedia magazine of the arts published by Phyllis Johnson from 1965 to 1971. François Bouillon, Tacita Dean, Peter Downsbrough a.o. Casco was founded in 1990 in Utrecht, the Netherlands, as a platform for experimental art. Ireland's leading magazine for contemporary visual arts and culture. Artist contemporary artist books in literary first editions with original graphics. Sedert 1997 geven Thomas Jones en Russell Calabrese edities uit van o.a. Ricci Albenda, Robert Beck, Sol LeWitt, Matthew McCaslin, Andres Serrano, Kiki Smith, , Nancy Spero, Richard Tuttle. Kunstenaarsboeken en edities van o.a. Marina Abramovic',Miroslaw Balka, John Baldessari, Greg Colson, Sam Francis, Dan Graham, Joe Goode, Marvin Harden, Mona Hatoum, Jene Highstein, Rebecca Horn, Anish Kapoor, Jannis Kounellis, Guillermo Kuitca, Richard Long, Meredith Monk, Ed Moses, Gabriel Orozco, Giuseppe Penone, Ed Ruscha, Peter Shelton, Nahum Tevet, Robert Therrien, Juan Usle', Christopher Wool. A collection of books and objects, relating to James Joyce, which, broadly speaking, ranges from books whose text and illustrations are in dialogue, to objets d'art which take the book as an object as a starting point. All books / objects are unique, specially made by the artist for this collection. As a bibliophile I wanted to start a new collection, and with my interest in Joyce I had the idea to assemble livres d'artiste with reference to his work and started to commission artists close to five years ago. Granary Books is a publisher of artists' books, poetry and the documentation thereof. Granary Books also dealsl in literary and art libraries and archives of the sixties and seventies. Meritage Press seeks to expand fresh ways of featuring literary and other art forms. Meritage expects to publish a wide range of artists  poets, writers, visual artists, dancers, and performance artists. mfc-michèle didier opened in Brussels in 1987 and focuses on the production and on the publication of original works by contemporary artists. Acting as an intermediary between the artist and production professionals (such as printing, film industry, etc.) and continuously striving to keep intact the original project entrusted by the artists, mfc-michèle didier produces artists' books, installations, films and videos, and provides a genuine and multiplied work. mfc-michèle didier gallery, located 66 rue Notre-Dame de Nazareth in the Haut-Marais, 75003 Paris, gives the chance to present the publisher’s productions and is a place of reflection on the artistic discipline of the artist’s book. At the same time, it gives the opportunity to show the importance of ephemera and published, multiplied works in contemporary art. Een volledig overzicht van de kunstenaarsboeken van Jürgen Partenheimer. Tijdschrift en edities met o.a. Doug Aitken, Laurie Anderson, Richard Artschwager, Matthew Barney, Louise Bourgeois, Maurizio Cattelan, Francesco Clemente, Peter Fischli/David Weiss, Tom Friedman, Gilbert & George, Rodney Graham, William Kentridge, Jeff Koons, Brice Marden, Bruce Nauman, Meret Oppenheim, Raymond Pettibon, Sigmar Polke, Charles Ray, Jason Rhoades, Gerhard Richter, Cindy Sherman, Andy Warhol. Kunstenaarsboeken en publicaties van kunstenaars. RGAP (Research Group for Artists Publications) was formed by Martin Rogers in 1994, and was previously sited at the School of Art and Design, University of Derby. In 2002, RGAP moved out from the University to become an independent, not-for-profit artist-led organisation, and has continued to publish artists' books and editions, and work with other centres in the UK and abroad, setting up collaborative projects, publications, exhibitions and events. This includes the organisation of the Small Publishers Fair – an international event held annually in London. As well as working with visual artists, RGAP has published editions by composers, writers, sound, and performance artists, and works have been featured in numerous exhibitions related to artists’ books and publications. The international fair celebrating books by contemporary artists, poets, writers, composers, book designers, and their publishers; together with a programme of readings and talks. With more than 50 publishers taking part. Roma Publications is an independent art publisher, founded in 1998 by artist Mark Manders and graphic designer Roger Willems. It is used as a platform to produce autonomous publications in close collaboration with a growing number of artists, institutions, writers and designers. Related to the content, every issue has its own rule of appearance and distribution, varying from house to house papers to exclusive books. Alligator is een alternatieve uitgeverij. Non-profit en afzijdig van de mainstream. Alligatorzine [www.alligatorzine.be] is wat het is. Een mix van tekst, beeld en multimedia. Alligator is an alternative press. Non-profit and definitely not mainstream. Alligatorzine [www.alligatorzine.be] is what it is. A mix of text, image and multimedia. Clayton Eshleman: A Translation Memoir. César Vallejo: Human Poems (selection and translation, Clayton Eshleman). Angel Escobar: Nine Poems; Omar Cacéres: Poems from Defense of the Idol (selection and translation, Mónica de la Torre). Eliot Weinberger: Sur le zócalo / Op de zócalo (translation, Auxeméry / Kurt Devrese). Clayton Eshleman: three poems & an essay. French poetry by Jean-Paul Auxeméry. Anne-Mie Van Kerchoven [AMVK]: texts and digital drawings. A collaboration between Alice Evermore and Patrick Merckaert. A series of poems by Nathaniel Tarn. Eliot Weinberger on American policies [What I Heard About Iraq]. Poems by Alice Evermore. 'Fives for...' by Kurt Devrese. Two essays (in Dutch) by Gary Snyder. Artwork and poetry by Cecilia Vicuña. Poetry by Jerome Rothenberg. Arc has been publishing contemporary poetry from new and established writers from the UK and abroad, specialising in the work of world poets writing in English and the work of overseas poets in translation. Since 1982 the Press has also issued books and portfolios. Arion Press aims to match the finest contemporary art with literature. Met Richard Anders, Garrett Caples, Jean Frémon, John Olson, Franck André Jamme, Christopher Nealon, Pascalle Monnier, Lynn Crawford. Founded in 1979 as part of the Dada Archive and Research Center, the International Dada Archive is a scholarly resource for the study of the historic Dada movement. The Archive has compiled a comprehensive collection of documentation and scholarship relating to Dada. Elke week stelt de Koninklijke Bibliotheek van Nederland een Nederlandse dichter voor, met een geïllustreerd dossier. Dat bevat een chronologie, een biografie, en wat uitleg over het pseudoniem en het werk van de dichter. was founded in 2000 in order to juxtapose, unite and reunite the poetries of France and the United States in a new bi-national, multi-faceted forum (links). Stiftung Werkstattmuseum für Druckkunst Leipzig Workshops and Museum of the Printing Arts Leipzig. || werk van o.a. | work bt a.o. Philippe Beck, Paul Bogaert, Albert Bontridder, Anneke Brassinga, Miguel Declercq, Saskia de Jong, Hugo Claus, Paul Demets, Peter Holvoet-Hanssen, Lucas Hüsgen, Marc Kregting, Jan Lauwereyns, Martin Reints, Alfred Schaffer, K. Schippers, Dirk Van Bastelaere, Peter Verhelst. Kleine precieuze uitgaven in een vormgeving van Alligator/Studio, Rein Ergo of Danny Dobbelaere. Krikri wil nog steeds het poëtische op een hedendaagse manier naar voren brengen & is nog altijd een samenvoegsel van klanken, geschriften, kleine schreeuwen, gekruip doorheen al dan niet verboden terreinen & een ode aan de ‘gris gris’ van dichter Antonin Artaud (‘gris gris’ is een benaming voor een soort beschermende talisman) & kr is een i speels kr zijn i.
Krikri wil de nadruk leggen op het poëtische via acties (poëtische naalden in het leven van nu), performances, deze website, workshops & een eigen festival. lyrikline.org is the brainchild of the literaturWERKstatt berlin. DE PAPIEREN MAN (c) is een vlugschrift van Dirk Leyman, bezitter van het boeken-DNA sinds 1965 - DE PAPIEREN MAN biedt vrijwel dagelijks literair nieuws, met aandacht voor uithoeken en rafelranden van de Nederlandse en internationale letteren. Poetry International Web is a magazine, platform and guide in one. The website offers poetry from a growing number of countries; an international poets' archive; national and international poetry news; essays and other articles on poetry; information on important national and international poetry organizations; links to other poetry websites. Shearsman is a publisher of contemporary poetry in mostly late-modernist styles, now based in Exeter, England, and active since 1981. Shearsman publishes a magazine, a large number of books (all poetry, or poetry-related), e-books, as well as the online Gallery series. Serendipiteit, de kunst van het onverwachte, heeft te maken met nieuwsgierigheid, openheid en kritisch inzicht. Op deze webstek komen zo goed als alle gepubliceerde boeken, artikels en besprekingen van ethicus en historicus Gie van den Berghe. Ontwerp door Zeuxis. Uitgeverij 69 [genoemd naar het geboortejaar van de bestierder, Wolfram Swets, en het idee om woord en beeld letterlijk en figuurlijk samen te bundelen] zal zich toeleggen op poëzie en korte verhalen in beperkte oplagen.